When the doctor suggested that my daughter may have ADHD a couple years ago, I didn’t believe it. After all, how can someone who spends prolonged periods focused on video games possibly have an attention deficit disorder? Sure, she loses things a lot, and she’s pretty disorganized. But she’s a good student – an honor student, in fact. 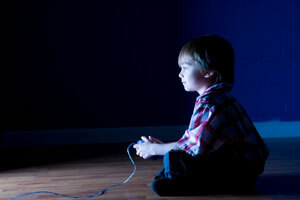 But according to a study in the journal Pediatrics, a child’s ability to sit for hours and focus on a screen is a sign of ADHD, especially if you can’t break his attention while he’s playing the game. “Children with ADHD have unbelievable focus,” said Akron Children’s child psychiatrist Sumru Bilge-Johnson, MD. This can be quite confusing to parents. That’s why you have to look at all the factors. Dr. Bilge-Johnson said an ADHD diagnosis requires multiple observations, because it affects all aspects of a child’s life. Is it affecting their learning? Is it affecting their relationships? Is it affecting their self-esteem? If you answer yes to any of those questions, talk to your child’s teacher and primary care doctor or pediatrician. Teachers can give parents an idea about whether their child is average, or more distracted than the other kids. Fortunately, for my daughter, her ADHD isn’t bad enough that she needs medication. And, now she’s ready to graduate high school and begin her college journey at Kent State. But the initial diagnosis was confusing and frightening. If you’re dealing with a recent ADHD diagnosis, this video might help shed some light on the disorder.